K2 zircon is a highly densified synthetic porcelain, which is fired at 810°C. As the shade- and layering system are uniform for all K2 masses, it is very comprehensive and easy to work with. The zircon framework is well wettable. The natural esthetic of this porcelain will be reached through fluorescence Liner, which care for an optimum shade reproduction. 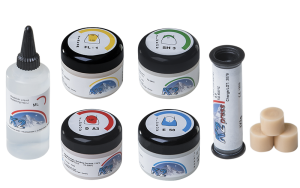 K2 zircon has a high stability, which allows a faster and easier layering to the technicians. Due to excellent CTE-adjustments you always reach best results. 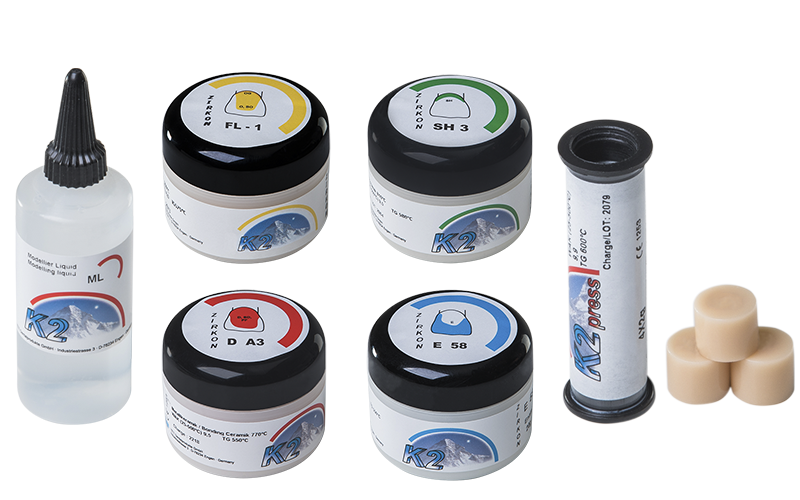 Press ingots are available in 2 or 5g, also in Transpa dentine and Dentine shades. They are appropriate for press over zircon framework layering and make up technique.